A modern and creative take on ancient Indian recipes, pedantic preparation and fresh, quality ingredients. Cracking wee curry house in the city centre, with great service for its selection of classic and traditional dishes. Intimate restaurant-deli delivering the home-style cooking of the Mother India group in a simpler, imaginative version. A sleek Merchant City spot with a well-selected menu of North Indian-inspired meat, vegetable and fish dishes. This newcomer in the Merchant City serves outstanding regional dishes from across India in a contemporary setting. A family-run Southside favourite serving freshly made, delicious vegetarian food from the Punjab. With a finger on the culinary pulse, old and new, Balbir's serve thrilling dishes in grand surroundings. Intimate restaurant-deli focused on fish and traditional, home-style cooking of the Mother India group. A family-run Southside favourite serving freshly made vegetarian dishes, from the Punjab with love. Attention to detail and authenticity are the order of the day at this luxurious North Indian diner in the Merchant City. 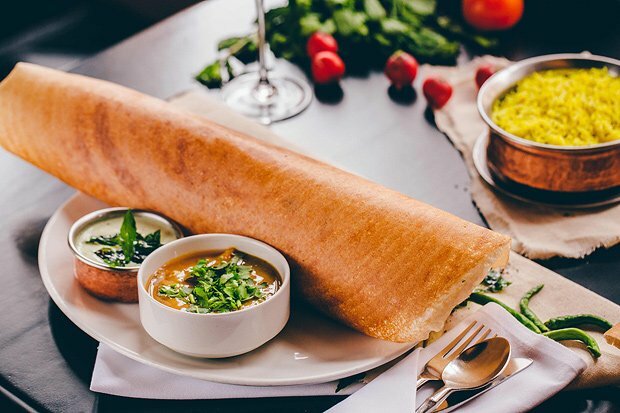 Amid Merchant City’s luxurious venues, this South Indian restaurant stands out with a unique menu and sophisticated ambience. Contemporary restaurant in the Merchant City serving outstanding regional dishes from across India.